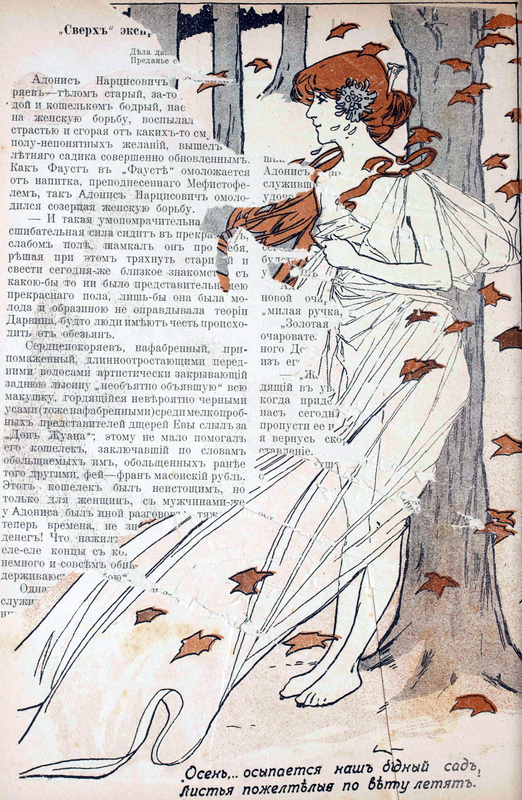 A ripped page like an autumn leaf created an accidental collage. 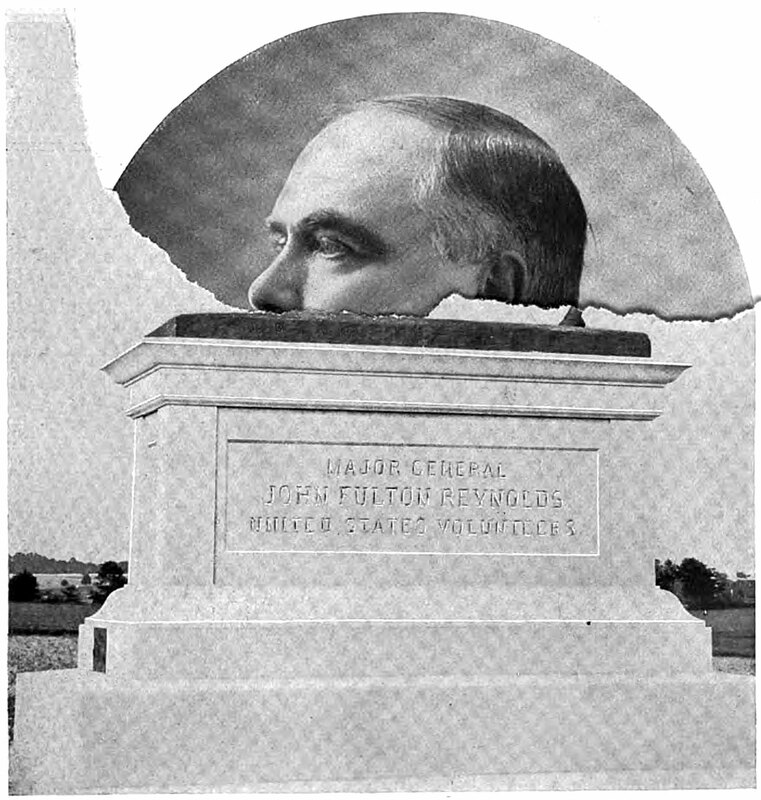 From Shut, 1907. 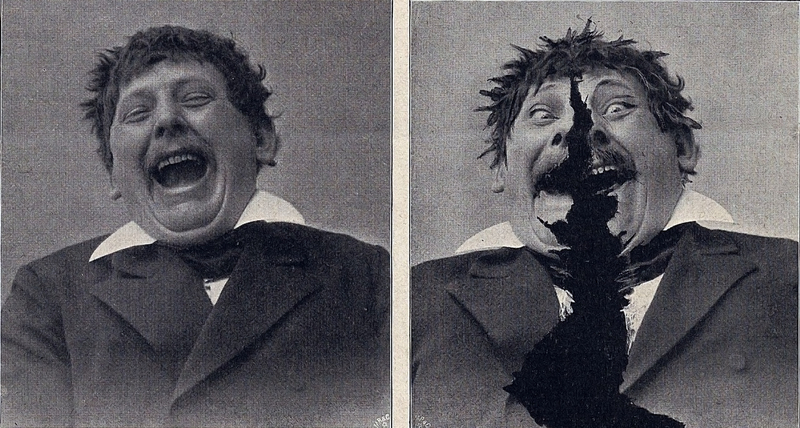 He laughed so hard he ripped the magazine page. From Lustige Blätter, 1903.